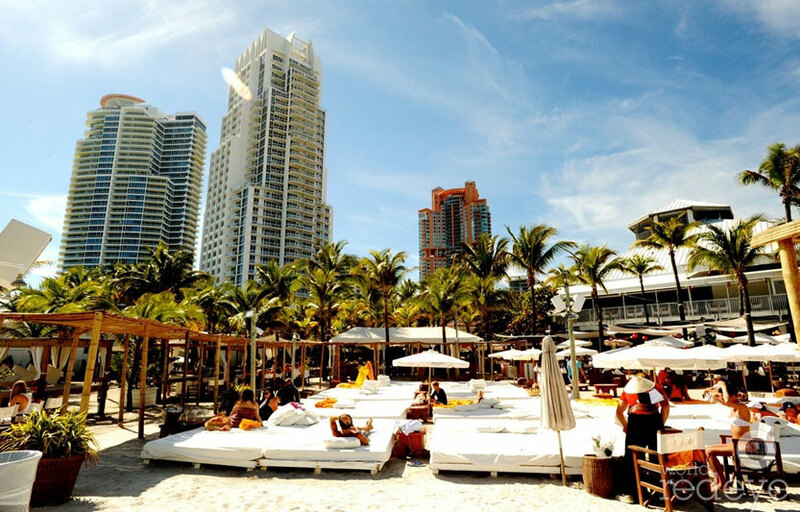 One of South Beach’s most elite clubs, Nikki Beach is located directly on the beach. With torches, palm trees, sand under your feet and the sky as your roof, it doesn’t get much better than this. Sunday afternoons are best, when everyone lazily wanders in to sip drinks after a day at the beach and the Sunday night singles scene really gets things sizzling. Sure it’s the beach, but dress to impress when coming for a night out, or you might not get in. While the club has limited hours of operation, the restaurant is open daily for lunch and all day on Sunday. Nikki Beach not only features both an outdoor club and a more intimate indoor space, but also a restaurant and lounge area complete with beds and hammocks. The club offers an experience geared towards the daytime (lounging, drinking, eating, and dancing) and the night, with outdoor parties on the weekends and all night parties on Sunday nights at the indoor club. Reserving a daybed or cabana is a must! If you’re hungry, look no further, Nikki Beach’s extensive menu includes delectable dishes featuring signature tastes and spices representative of all the countries Nikki Beach is located, including delicious salads, creative sushi rolls, original seafood entrees and slow-roasted free-range rotisserie chicken. Nikki Beach typically plays a mix of electronic, deep house and chill beach grooves setting the perfect mood to enjoy your Sunday. Where is Nikki Beach located? 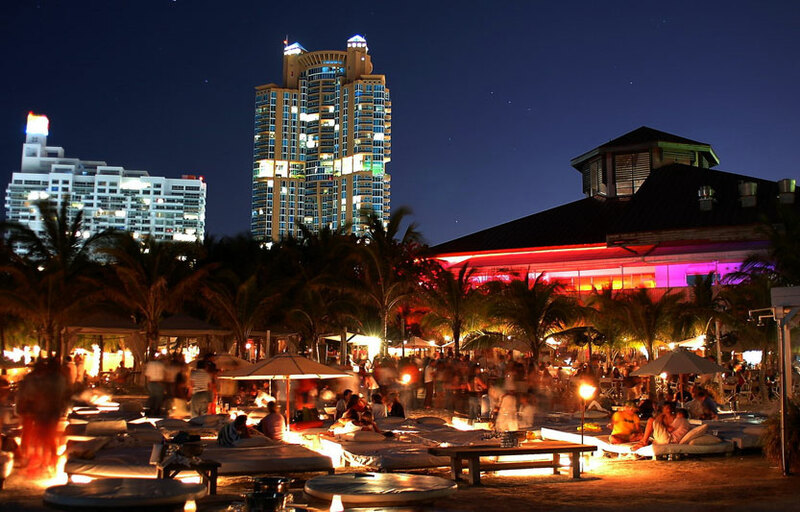 Nikki Beach is located in South Beach on Ocean Drive and 1st Street. How much is cover charge at Nikki Beach? 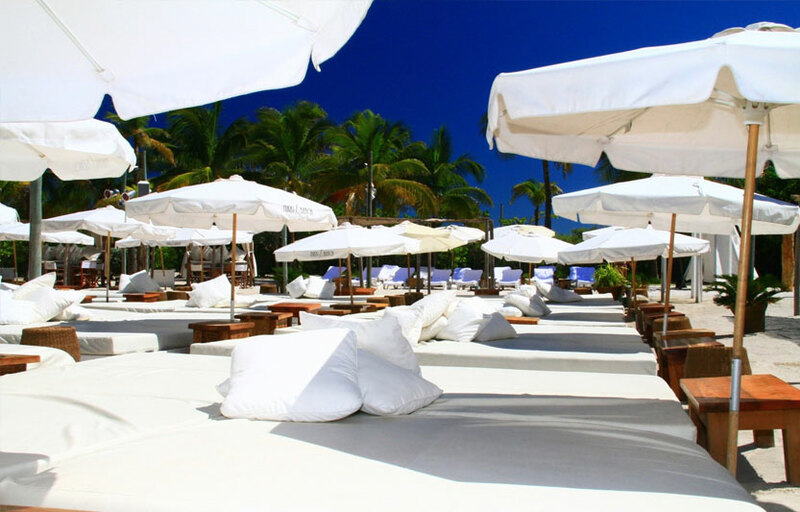 Nikki Beach does not charge cover except for special events. How long will I have to wait at Nikki Beach? Average wait times vary depending on the weekend, however, if you’re looking to reserve a daybed or cabana at the door, you shouldn’t wait more than 10 min. If you’re looking to dine and get a table, you’re probably looking at 20-30 min. When is Nikki Beach open? Nikki Beach is open Monday to Thursday 11 AM – 6 PM, Friday to Sunday 11 AM – 11 PM, and Sunday 11 AM – 5 AM. What are the best nights to go to Nikki Beach? Fridays and Saturdays are both good. Check the Discotech app to see who’s spinning! What is the dress code at Nikki Beach? Swimwear is highly encouraged. No speedos / banana hammocks. Euro shorts are okay. No jerseys, sportswear, etc. Is there parking near Nikki Beach? There is on-site valet and parking lots nearby ranging from $5 to $15 depending on the day. How much do drinks cost at Nikki Beach? Mixed drinks and shots are roughly $12 apiece, beers $10. Bottles start at $300. What kind of music do they play at Nikki Beach? Nikki Beach usually plays electronic and house music. Where can I find an list of upcoming events / DJs at Nikki Beach? You can download the Discotech app to see upcoming events, and book tables for Nikki Beach. You can also visit Nikki Beach’s homepage for a current list of events.